Somebody searched for “migrant blogger new york city nelson diaz”. Hell, if you want to find Nelson, just ask me. I’ll let you know. By the way, his sixth painting is now being auctioned on eBay, and it is amazing. The bidding is currently at $51. It is interesting to see how the colors have evolved through this series. Installments #5 and #6 are considerably more vibrant than their predecessors. Also, the colors used in #6 remind me of the “negatives” of #2 (which I own). If you are at all interested in art and appreciate Nelson’s work, I’d encourage you to participate in these auctions. You won’t regret it. Few have the opportunity to hang a Nelson Diaz original in their homes, and at these prices, it’s virtually impossible. Take advantage of this situation. 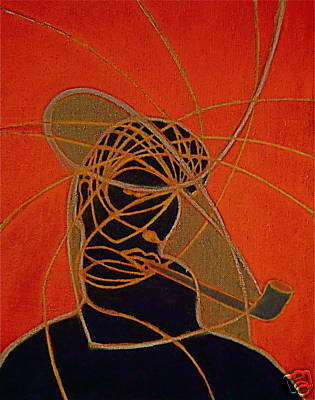 This entry was posted in Uncategorized and tagged Art, Auction, eBay, Francis Bacon, Nelson Diaz on July 15, 2008 by Tom.